AY is the richest comedian in Nigeria currently and this write-up will reveal AY net worth in dollars. It will also reveal what he charges for every external show he is invited to perform. Popular Nigerian comedian Ayo Makun is known by his stage name AY. Just like Basket-mouth, Bovi, Ali Baba and the rest, he has taken the business of comedy to the greater heights. His 30 Days in Atlanta which he produced and also acted is one of the biggest Nollywood blockbuster that made him more popular. His popular AY show is said to make millions any time it is organized as he sells thousands of tickets in every show. 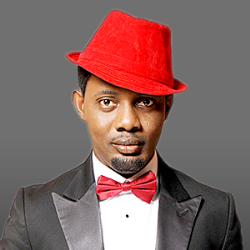 Apart from being a stand-up comedian, AY is also an actor in Nollywood and a movie producer. Many say he has other businesses abroad which has significantly increase his net worth in Dollars as Nigeria’s richest comedian. AY net worth is currently estimated at $2 million in Dollars and about 3.2 billion in Naira. He is a business man who has landed properties in and out of Nigeria, has cars and also a mansion of his own. It is said that AY charges from N2 million and above before he performs on invitation.